Ubuntu 17.04 Zesty Zapus reaches end of its life today on Jan 13. Ubuntu Security Notices will no longer include information or updated packages for Ubuntu 17.04. Users can either upgrade to Ubuntu 17.10 (support will end in July 2018), or download Ubuntu 16.04, the current LTS with 5-year support cycle. 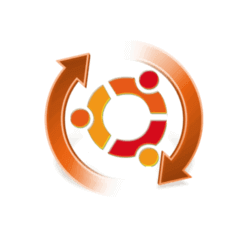 Ubuntu announced its 17.04 (Zesty Zapus) release almost 9 months ago, on April 13, 2017. As a non-LTS release, 17.04 has a 9-month support cycle and, as such, will reach end of life on Saturday, January 13th. At that time, Ubuntu Security Notices will no longer include information or updated packages for Ubuntu 17.04. Note that is NOT patched against Meltdown and Spectre vulnerabilities due to the End of Life timing. Users are advised to upgrade to Ubuntu 17.10 and install the updated kernel packages.